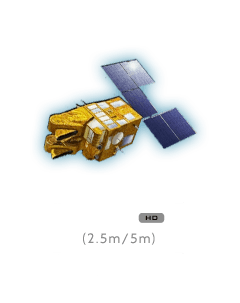 The five (5) RapidEye satellite sensors were successfully launched from the DNEPR-1 Rocket on August 29th, 2008 at Baikonur Cosmodrome in Kazakhstan. 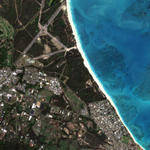 RapidEye built by MacDonald Dettwiler, Ltd. (MDA) will offer image users a data source containing an unrivaled combination of large-area coverage, frequent revisit intervals, high resolution and multispectral capabilities. 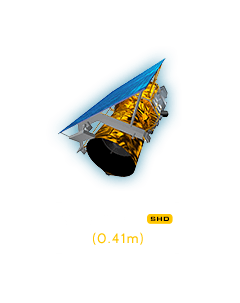 Watch video of RapidEye satellite launch. 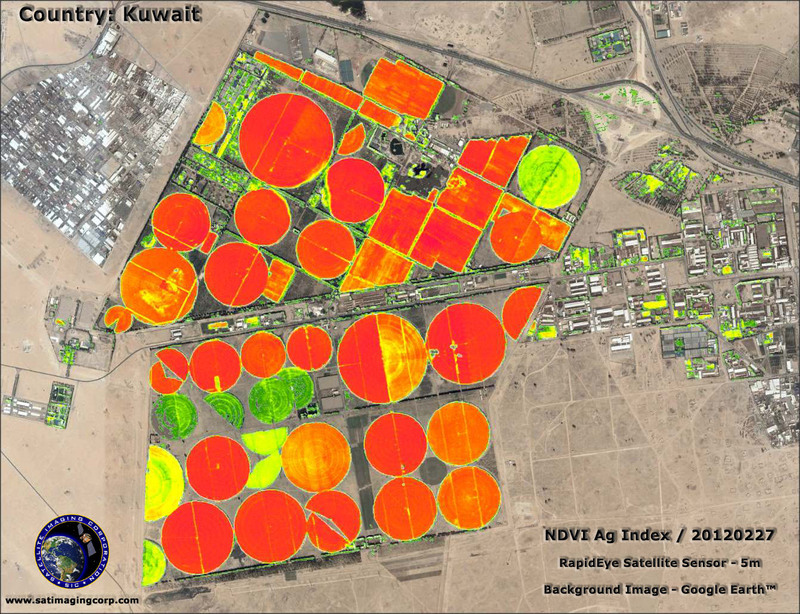 RapidEye's imaging capabilities can be applied to a host of industries, including agriculture, forestry, oil and gas exploration, power and engineering and construction, governments, cartography and mining.  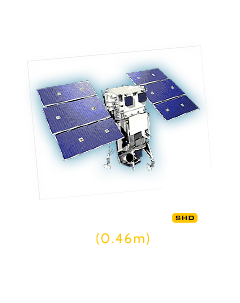 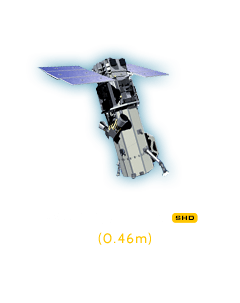 The RapidEye system collects an unprecedented 4 million square kilometers of data per day at 6.5 meter nominal ground resolution. 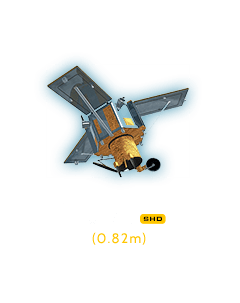 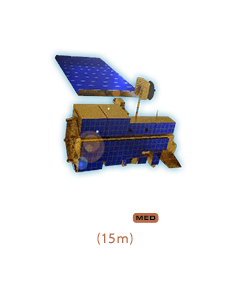 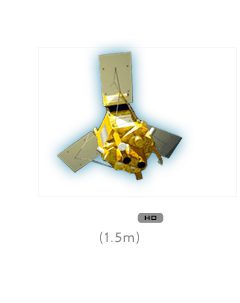  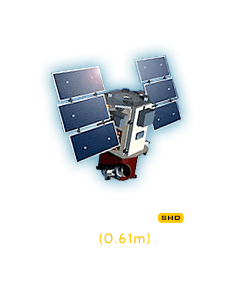 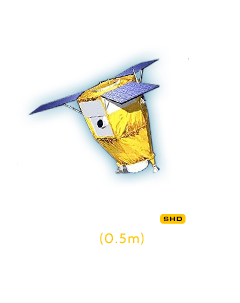 Each satellite measures less than one cubic meter and weighs 150 kg (bus + payload), and has been designed for at least a seven-year mission life. 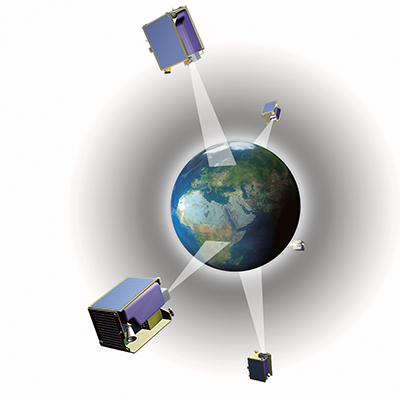 All five satellites are equipped with identical sensors and are located in the same orbital plane. 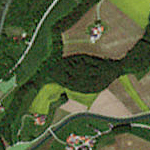 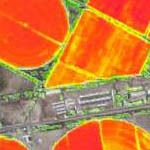 BlackBridge satellites include the Red-Edge band, which is sensitive to changes in chlorophyll content.